Hundreds of Beaujolais winemakers have marched through the streets of Villefranche-sur-Saône to call for higher prices for Beaujolais Nouveau, reports Yohan Castaing in Decanter. Napoleon Bonaparte’s enemies sought to make prison more of an ordeal by rationing him to just one (!!!) bottle of Champagne daily. Obama and Putin locked eyes over a glass of rosé, and the Internet obviously held a caption contest. Former owner of J Vineyards, Judy Jordan, has purchased two vineyards in Oregon’s Willamette Valley and one in Napa Valley for a new project called Capra Company, reports Wine Spectator. Wine globalization is set to continue, says Kym Anderson. Elin McCoy explains what California’s wildfires means for the 2015 wine harvest in Bloomberg Business. Since closing out my Answers.com gig back in June of this year, I have found myself still inundated with wine product/accessory/gizmo samples (I’ve totally given up on trying to keep samples to a manageable number), but without a convenient (and conveniently highly trafficked) outlet with which to share the better or more interesting of those products. And so I’m breaking a loooooooong streak of avoiding wine product mentions here on 1WD, so that I can give you a gander at a couple of the vinous accessories that tickled my… whatever it is for wine geeks that gets tickled when they get to play with accessory samples. First up is a corkscrew, which at first blush sounds boring, but I’ve personally been fascinated by these bizarre more-or-less-single-purpose tools ever since researching their surprisingly interesting backstory for a PUBLIX Grape article I penned last year. 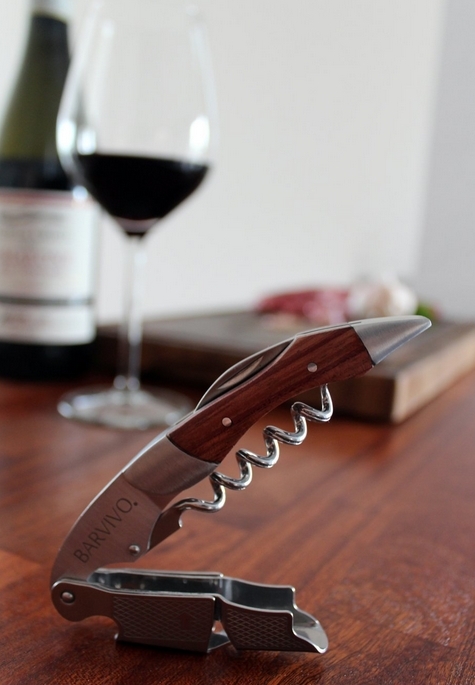 Right now, I’m full-on a fan of the “hinged” waiter’s friend style of corkscrew, so I was pretty jazzed to try out a sample of Barvivo’s take on that design. This little number works like a charm, has the double-hinge action that I’ve grown to find invaluable, and it looks classy as hell. I’m not accusing them of slave labor, but I’ve no idea how they managed such high production quality for such a low price. As of the time of this writing, they’re offering a coupon deal, which makes the corkscrew a total steal. Turns out that the result is somewhere in between, but I’m finding that I like the idea of the messenger-bag version of this wine tote more and more. The short version of the story behind Vivajennz is that instead of using a collapsible pouch for transporting your favorite vino to an event or gathering, you instead put it into a pouch, to which a dispensing nozzle/tap is affixed, and which all fits into one of the stylish, insulated bag designs. Open a flap on your way-cool bag, and take a tap to fill a glass; and boom, presumably, you’re the hit of the party. 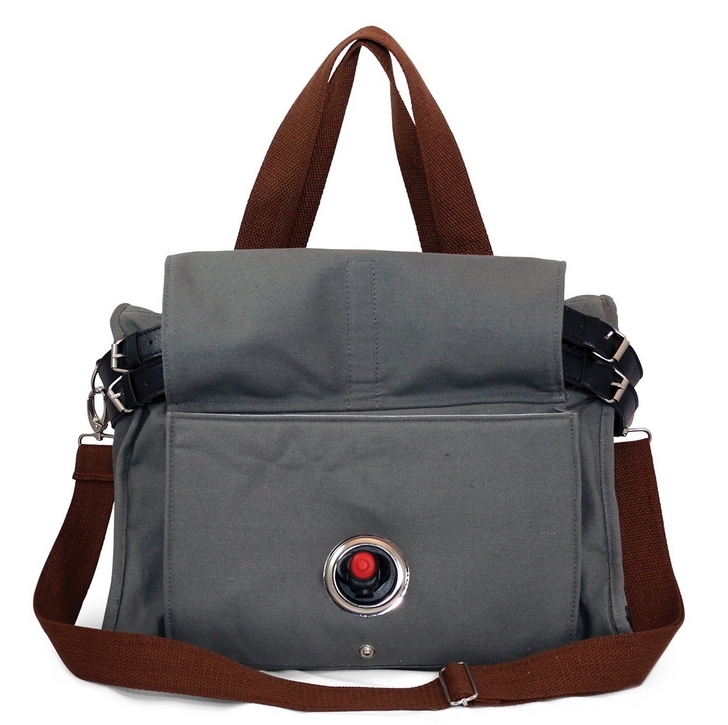 The overall design isn’t the most practical, but I really like that the bag does double-duty (in the case of my sample, the messenger bag is perfectly capable on its own for acting as, well, a messenger bag, and it looks great). Might be worth checking out for the style lover / wine guzzler in your life. Copyright © 2015. Originally at Classy Openings, Surreptitious Sipping (September 2015 Wine Product Roundup) from 1WineDude.com - for personal, non-commercial use only. Cheers! Hello, and welcome (back -- I've been too busy to open boxes lately) to my periodic dig through the samples pile. I'm pleased to bring you the latest installment of Vinography Unboxed, where I highlight some of the better bottles that have crossed my doorstep recently. This week's tasting included a few really excellent white wines, in particular the Müller Thurgau from Abbazia di Novacella, a lesser known white grape that absolutely sings when grown by monks in the mountains of the Alto Adige. If you've never had it, this is the best place to start. Also in the lighter department, there's the elegant Flowers Camp Meeting Ridge Chardonnay and the excellent value Cantina de Castello Soave. Not to be missed is the Domaine de Salut Graves Blanc, which is a wonderfully balanced expression of both Sauvignon Blanc and Semillon. In the red department, Flowers has an entry as well, as does J. Davies Vineyards (known to most people as Schramsberg Vineyards) whose 2012 Estate Cabernet is juicy, delicious, and very approachable even in its extreme youth. All these and more below. Enjoy! Palest greenish gold in the glass, this wine smells of unripe pears, lime zest and white flowers. In the mouth, lime zest and pink grapefruit pith have a zippy, steely brightness thanks to fantastic acidity. A light wet chalkboard feeling lingers in the finish. 12.5% alcohol. Score: around 8.5. Cost: $17. click to buy. Palest blonde in the glass, this wine smells beautifully of white flowers and a hint of gooseberries. In the mouth, flavors of gooseberry and kiwi lean towards the racy electricity of passionfruit as the wine heads to a long finish. Utterly mouthwatering and delicious. A blend of Semillon and Sauvignon Blanc. 12.5% alcohol. Score: between 9 and 9.5. Cost: $16. click to buy. A light salmon orange in color, this skin-macerated white wine smells of dark honey, wet leaves, dried orange peel, and mulling spices. In the mouth, a light honeyed flavor washes over red berries and orange rind flavors mixed with spices that lean towards nutmeg. Good acidity, but a little alcoholic heat rises in the finish. 12.1% alcohol. Score: around 8.5. Cost: $18. click to buy. Pale greenish gold in the glass, this wine smells of lemon and lime and green apples. In the mouth, bright green apple and lime zest flavors have a nice snap to them thanks to bright juicy acidity. Smooth and silky on the palate. 13.9% alcohol. Score: between 8.5 and 9. Cost: $22. click to buy. Palest gold in the glass with a hint of green, this wine smells of unripe apples and lemon pith. In the mouth, silky flavors of lemon juice, sweet cream, and white flowers have a wonderfully beguiling complexion. Ever-so-faintly-sweet, but with fantastic acidity, this wine just begs to be gulped. 13.5% alcohol. Score: between 9 and 9.5. Cost: $25. click to buy. Palest greenish gold in the glass, this wine smells of greengage plum and a hint of cucumber layered over rainwater. In the mouth, lemon-lime flavors mix with green apple and white flowers pleasingly. Decent acidity and length. Nothing wrong with this one. 12.5% alcohol. Score: around 8.5. Cost: $12. click to buy. Light gold in the glass, this wine smells of lemon curd and lemon zest. In the mouth, bright and delicious flavors of lemon curd and lemon juice mix with pink grapefruit and pomelo pith. Wonderfully bright and persistent with well integrated oak. Excellent acidity. 13.5% alcohol. Score: between 9 and 9.5. Cost: $85. click to buy. Palest yellow-gold in color, this wine smells of dried apricots and ripe peaches. In the mouth, notes of lemongrass mix with peach and a wonderful zingy acidity that makes the whole package mouthwatering. Extremely delicious. 12.5% alcohol. Score: between 9 and 9.5. Cost: $20. click to buy. Light garnet in color, this wine smells of raspberries and crushed herbs. In the mouth, wonderfully mineral raspberry and green herb flavors have a light bitterness to them as they finish. Excellent acidity and quite silky texture. Pretty. 13.9% alcohol. Score: around 9 . Cost: $80. click to buy. Light garnet in color, this wine smells of cranberry and raspberry compote. In the mouth, bright raspberry and green herb flavors have a nice snap to them thanks to excellent acidity, but not as much depth or complexity as I'd like. Some nice notes of dried herbs linger in the finish with a hint of forest floor. 13.5% alcohol. Score: around 9. Cost: $55. click to buy. Dark garnet in color, this wine smells of cassis, chocolate, and dark tobacco. In the mouth, black cherry fruit and tobacco notes mix with mocha and cola. Good acidity and faint velvety tannins mix together nicely, but the wine doesn't quite have the zip and verve I'd like it to. Quite tasty nonetheless. Contains 17% Malbec. 14.5% alcohol. Score: between 9 and 9.5. Cost: $100. click to buy. Medium to dark garnet in color, this wine smells of rich black cherry and cocoa powder. In the mouth, cherry, black cherry, and black plum flavors have a very nice smooth complexion dusted as they are by tannins. Excellent acidity and length, with just a touch of heat on the finish. 14.5% alcohol in an obnoxiously heavy bottle. 275 cases produced. Score: around 9. Cost: $85. click to buy. In the Telegraph, Henry Samuel reports that a Bordeaux village inside Sauternes appellation is grappling with cancer rates five times the national average, with a possible link to vineyard spraying. “Virginia’s Cabs and Chardonnays aren’t household names—but they should be,” says Ted Loos in Travel + Leisure. Andrew Jefford looks back at the harvest at Raventos i Blanc, and meeting ‘Cava rebel’ Pepe Raventos in Decanter. Jancis Robinson questions whether Shiraz or Syrah is better. In Grape Collective, Dorothy Gaiter visits Burntshirt Vineyards in North Carolina, whose Grüner Veltliner wine has won several awards. I read a lot of stuff about wine on the Internet. People frequently ask me for recommendations. But there's just so much out there and only so much room in my head. In part that's why I've been curating a wine magazine on on Flipboard for the last year or so. But for those of you who aren't Flipboard inclined, I've decided to post a round-up here of what's caught my eye over the past week. Christopher Barnes on the Mendoza powerhouse. East Coast vintners bracing for.... success. Andrew Jefford on helping bring in the Cava. Time to party, say Italian winemakers. Christopher Barnes on Renan Cancino's traditional wines from Maule. Uh oh. Suspicions over pesticides. Kym Anderson says get used to it. Elaine Chukan Brown goes deep into the story of two men in the Santa Cruz Mountains. Corton is ready for its close up. Jane Anson on extreme dry farming in Navarra. Lettie Teague says focus on the producer. Lauren Mowery profiles Elqui and Limari. Zachary Sussman explores a little known (but favorite of mine) region. Elin McCoy takes one for the team. Alain Julien on Petit Meslier, Arbane, Fromentot and more. Is pot stealing market share? Regan Hoffman on liquid vocabulary. Grub Street profiles some new places to drink and eat in New York. Ask a Somm: Do Smooth Italian Wines Exist? Of course they do, finds Kat Odell. How lucky are you? How many of these bottles have you had? Tim Hall on Roederer and the 2015 harvest. Tim Gaiser tests the $1000 wine gadget no one needs. Irene Virbila on the secret history of Los Angeles wine. Andrew Jefford on the value of time... on the vine. Regular and Superieur is the suggestion. Bestselling book 'The Wine Bible' is updated: What's changed in 14 years? Sarah Heller takes up the question of whether knowledge matters. Some bad news, but not nearly as much as there could be, says The Sacramento Bee. Changing the way drunk people SURVIVE wine tours. How big is your mouth? Jon Bonné picks his CA favorites. Get yourself a glass of Zibibbo. Alfonso Cevola moves through the veil of memory. 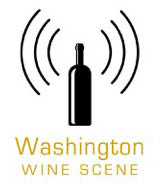 The post What to Drink Now: Washington Wines – D Magazine and Sidedish appeared first on Woodinville Wine Country. Russell’s Restaurant and Loft has released it’s list of wine and spirits dinners for 2017. Make sure to make your reservations soon. A special and unique evening of crafted cocktails and mouthwatering tapas, Russell’s has partnered with Scratch Distillery in Edmonds for a night of distilling education and enjoyment. Spirits tastings, specialty cocktails and artfully paired tapas. *All ticket sales are final 3 calendar days prior to the event. *Refunds may only be provided in the form of a Russell’s gift card.